I recently had a client whose wife had just been killed in a horrific motor vehicle accident, and they had 5 children - 3 of which were being treated at Sick Kids Hospital. Talk about putting your own life in perspective pretty darn quick! We all meet those people in life, those that make a difference in your life, those angels along the way. While waiting at the hairdressers, I met a remarkable woman who had just completed a clowning course. Yep, she wanted to become a clown. Remember Patch Adams, that movie with Robin Williams? She had taken a Humanitarian Clowning course - from the "real" Patch Adams, in some distant land. She came back a changed woman, wearing fashion seal medical scrubs. When I hear about those stories, it makes me want to don a red nose and a smile. For those of you already in the medical profession, I applaud your choice. And speaking of choice, how about those cool scrubs that can be found at http://www.blueskyscrubs.com . Life is truly about the choices we make. After years of transporting clients and/or friends to hospitals, it always amazes me how those little angels stick out so clearly. Hospital waiting rooms are usually fully charged, high tension areas - and no one is really having a good time. But there is always at least one person you meet, that makes that ordeal worth it, or at least tolerable. That extra friendly nurse, the fellow mother who brought an extra drinking box she gives your uncomfortable child, the man who gives up the seat so both you and your kids can seat together. It reminds me to breathe, and step out of the moment. To be thankful to be in a place that I can receive medical care. What angels have you met along your way? In what form did they take? How did they make you look at your life differently? I have to think about this and come back. An important thing to remember. I often look back at some of my most difficult times in my life, and realize that when I needed them, angels were there somewhere along the way. In the moment I didn't always recognize them, but looking back, they were there. There have been many in my lifetime thus far. 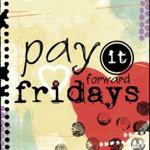 I have been extremely fortunate, and that is why I believe so strongly in the pay it forward philosophy. I too have had many angels along my path of survival, and often wonder if I would have survived without them. You are an extremely strong woman, Miss Suzie Q, don't underestimate your own strength and courage. We all need help every now and again, I am glad you found yours when you needed it.